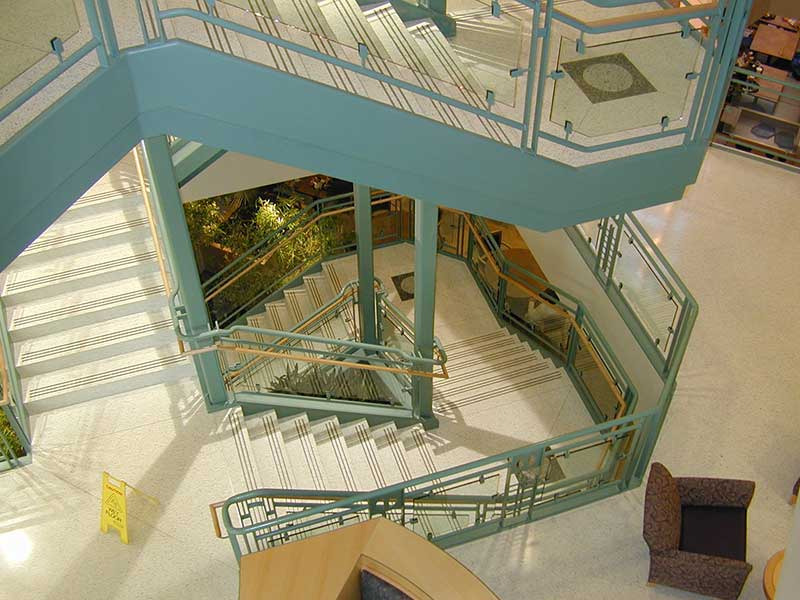 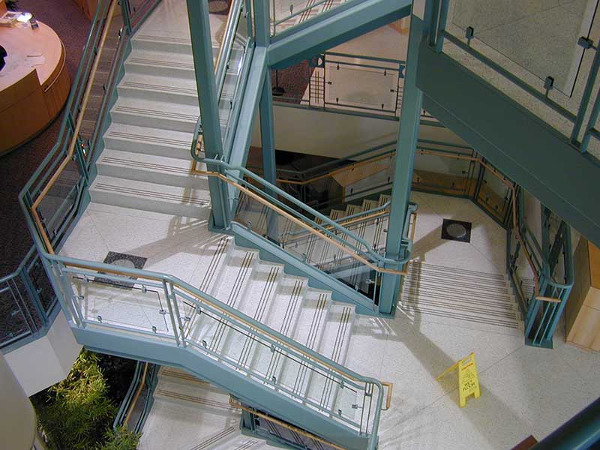 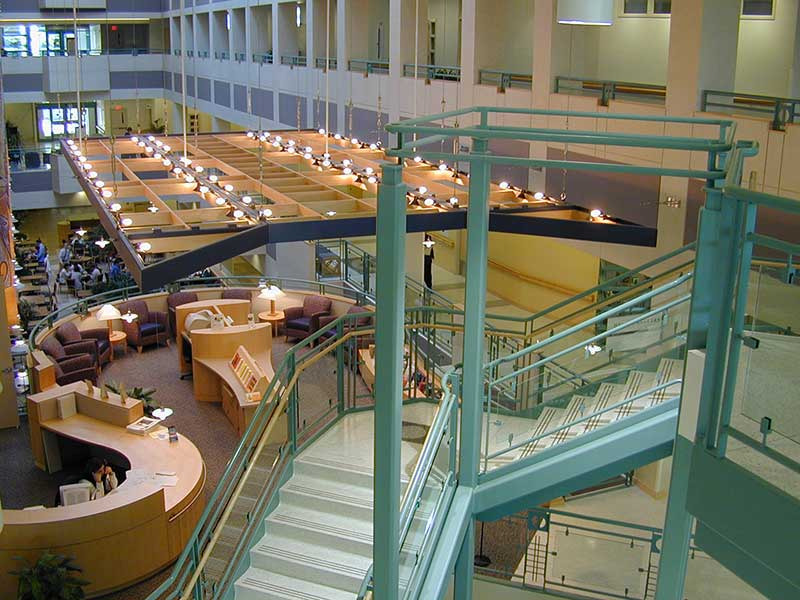 Multi flight stair at Bronson hosp. 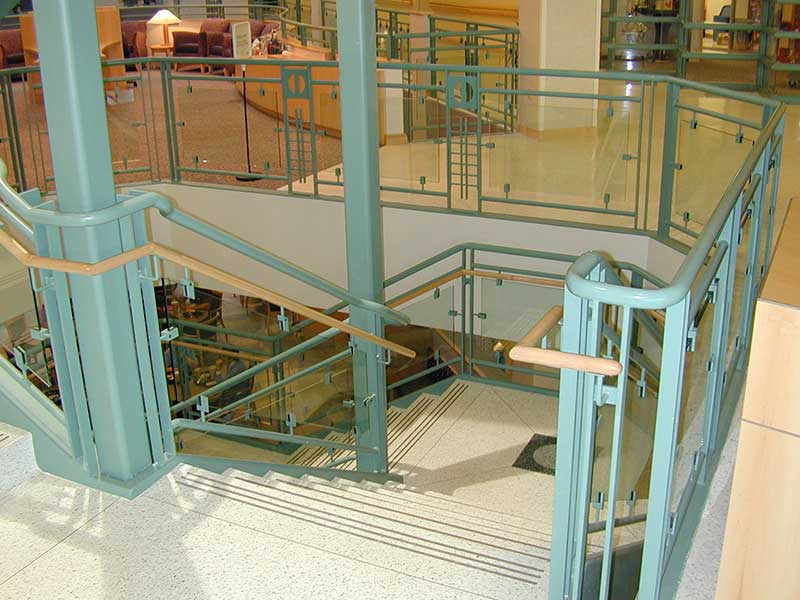 Beautiful ornamental stair with glass and wood handrail. 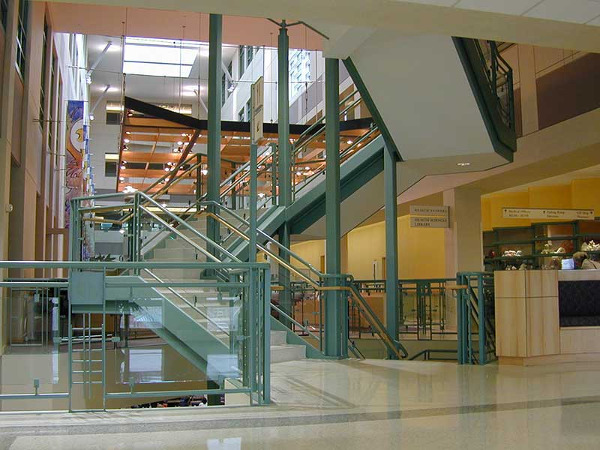 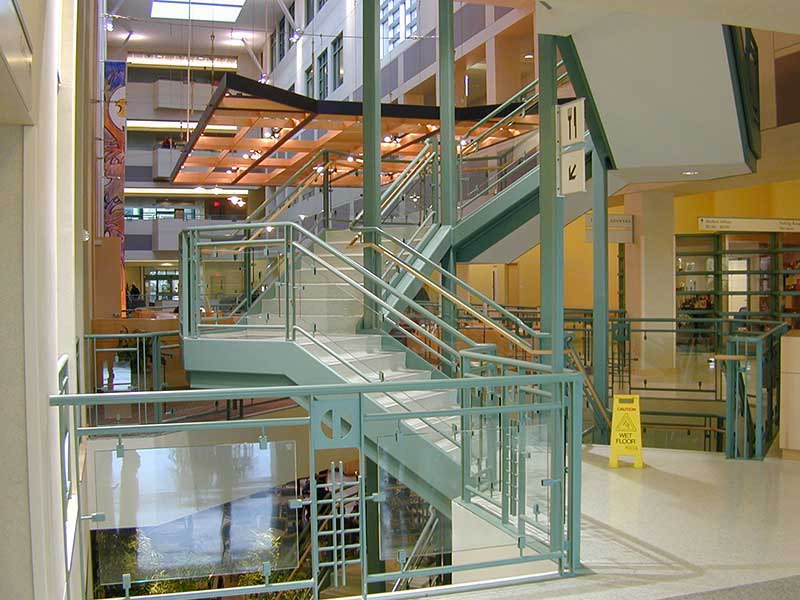 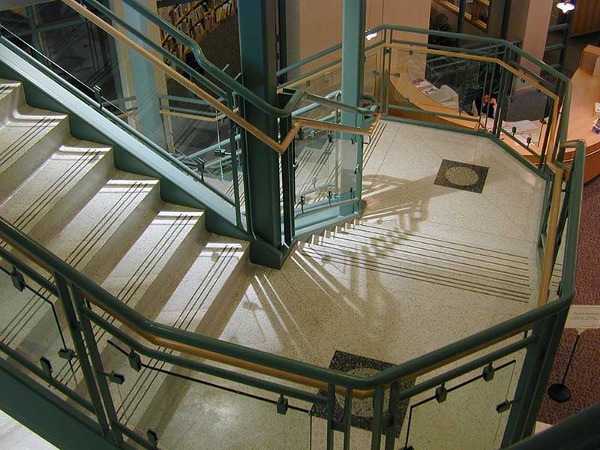 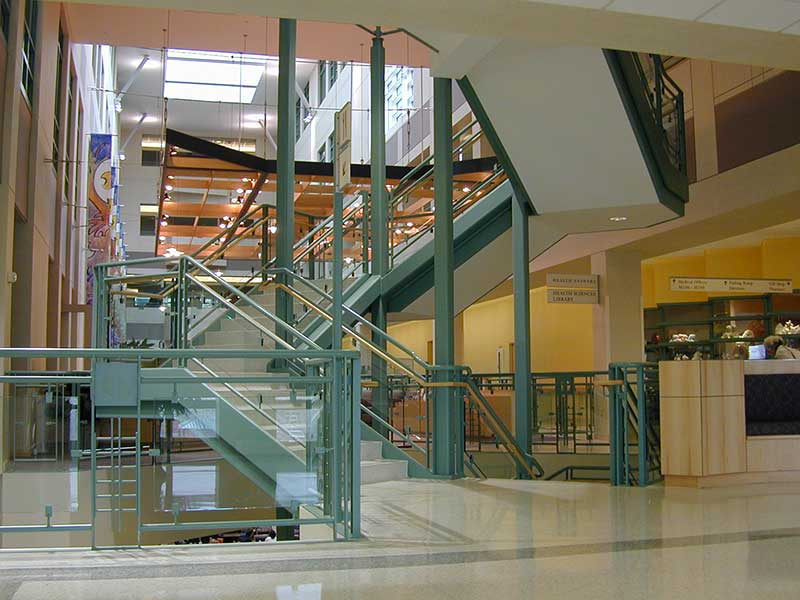 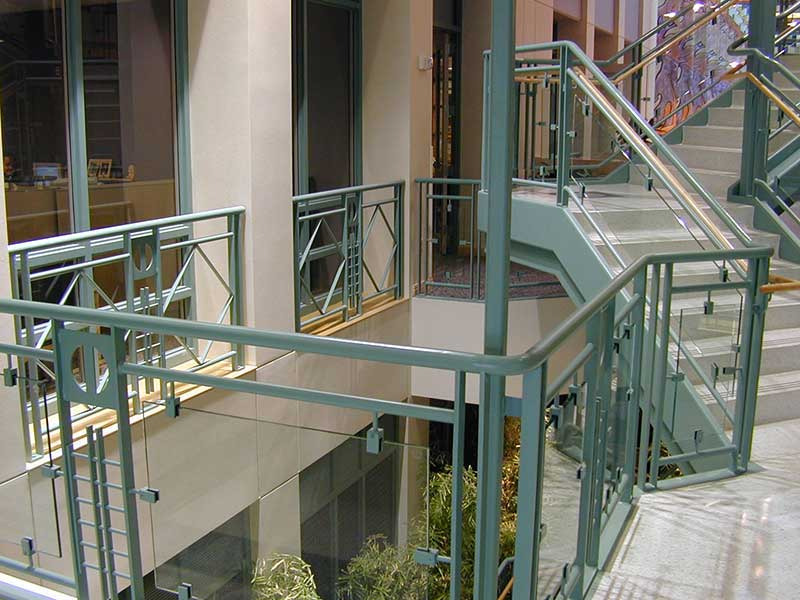 Green painted stairway with ornamental glass rails.